There’s really no sense in beating around the bush: LucasArts is bringing the Secret of Monkey Island: Special Edition to Apple’s App Store. Earlier this afternoon, LucasArts tweeted, “For our Monkey fans -- an iPhone sized wallpaper. No reason. Wink wink nod nod.” At the front end of the tweet was a link to the wallpaper promised in the message. 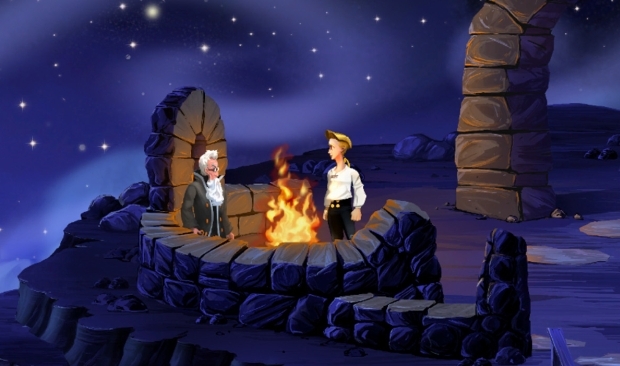 The image was the cover art for Secret of Monkey Island: Special Edition. In a recent interview, LucasArts’ CEO Darrel Rodriguez oh-so-subtly confirmed that LucasArts titles would be making their way to the App Store with the same language used in the tweet this afternoon: “On iPhone, you know Apple's policy that we can't talk about a release until it's ready to release,” he said. “But it would make sense that we would do something like that if we were to go in that direction ... wink wink, nod nod." In other news, Left 4 Dead 2 will have a cricket bat -- wink wink, nod nod.